When your actions align with your intentions, success is inevitable. EMPOWERMENT [im’pah’wer’ment]: The means or opportunity necessary for independence and self-assertion. It’s not always about the time you put towards working out, but rather the dedication to your goals outside those hours that will get you the results you’re looking for. At Empowerment we believe that a strong dedicated mind is the key to achieving your goals. 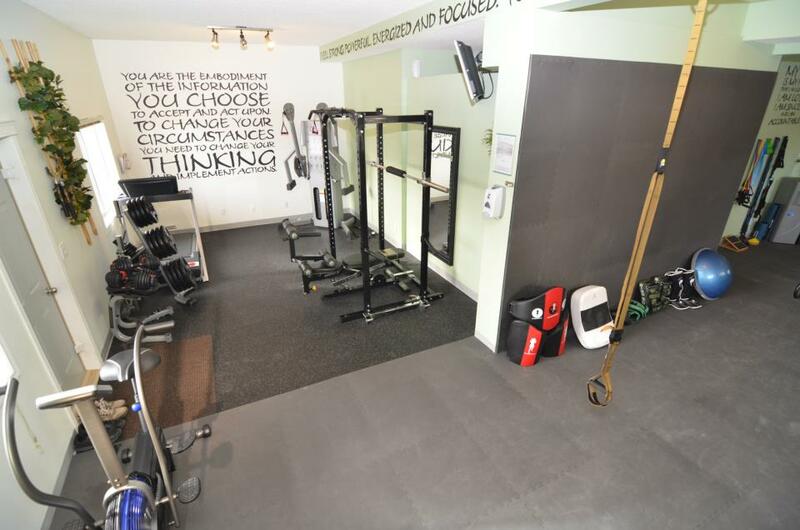 Changes that will occur in your physical composition due to exercise are undeniable, they are however secondary to the benefits you will experience outside the studio doors. Empowerment of the self is found in those remarkable moments of self-actualisation; an instance when you realise what you are capable of. 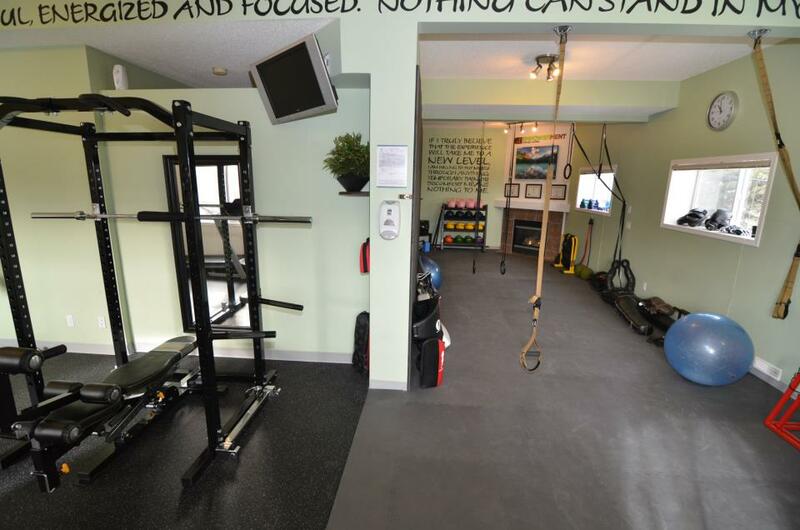 We want our clients to overcome any physical challenges they might be faced with and believe that a well-rounded generalist approach to fitness will get you there. Sleep, nutrition, recovery, flexibility, mobility,stability, strength and muscular endurance are all fundamental building blocks – each facet supports the next. If you bring commitment, accountability and a positive attitude to the table, we are confident we have the knowledge and experience to make your goals a reality. THE SECRET OF YOUR SUCCESS IS FOUND IN YOUR DAILY ROUTINE. YOU WILL CHANGE YOUR LIFE WHEN YOU CHANGE THE THINGS YOU DO DAILY. It's not about perfection. Its about grit. When you apply consistent persistence to your every day life. That is when changes occur and transformations begin to emerge. When I picture my life at this time last year, it makes me sad to think I actually considered that a life. I worked, came home, watched TV, and ate junk. It was a lifestyle I had been accustomed to my whole life. Believing time off should be spent relaxing and that actually being active was a bad thing. I hit rock bottom that year when I realized I was 220lbs. I couldn’t believe I had allowed myself to be so out of control. On a whim I joined a bootcamp at Alive Personal Training. At this bootcamp Damir taught one of the classes. The first week of that bootcamp I almost quit. I couldn’t keep up with anyone, I couldn’t run a city block, and I felt disgusted with myself. Then at one of the classes Damir helped me to run the city block in intervals. The fact that he was willing to find a way to help me do it showed me there was hope. It also showed me people were willing to help if I was willing to help myself. The choices we make define who we are and the type of life that we will lead. Some choices have more impact than others. This impact can be minor or it can be completely life changing. When I chose to train with Damir the result was the later. I am a completely different person now, both mentally and physically, compared to the woman I was when I first met him three years ago. For the first 18 years of my life I was overweight. 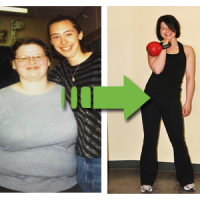 At age 17 I hit my heaviest, at 5’5″ I was a staggering 240lbs and wearing a size 40. I first began to lose weight when I moved away from home and started being in control of my own food. I dropped down to a size 30. This accomplishment should have made me love me, It however, did not. Losing weight that quickly without having exercised at all left my body with no real shape at all. 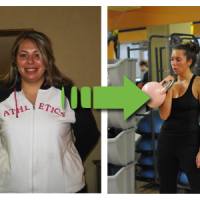 Danielle has acted as my personal fitness trainer for the past three years. 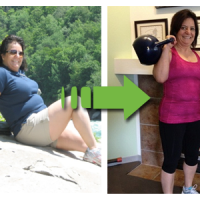 We trained once per week and she was a major reason why I was able to achieve and maintain my goal of attaining an above average level of general fitness for my age group (60 – 65). Her sessions were well-planned and varied enough from week-to-week to provide an excellent variety of routines which ensured all aspects of my strength and conditioning were addressed. She made sure I worked hard during the sessions which is crucial to achieving your goals. Danielle has a great personality! She is very enthusiastic and, while we worked hard, the sessions were lots of fun. It was a sad day when I learned that she was relocating and I greatly miss her services as a trainer and, indeed, her friendship. I have no hesitation in recommending her services to potential clients. The hardest thing about health and fitness is finding your personal commitment to the cause. This has taken me a while. It’s been sort of like a rollercoaster ride. I have finally received full benefit from my commitment. I have been fighting high cholesterol for 15 years, overweight and no physical energy. Now I am a fanatic. Enjoyment I receive from challenging myself is extremely rewarding. Every day I will achieve something new; Yesterday was 15 Lb weights, today maybe 20 Lbs; How many times can I run up the hill today, can I do more tomorrow. It’s invigorating that I can do it. I have been a client of Damir Mulalic since January 2011. Damir’s motivation and can do attitude have kept me coming back week after week. Training with Damir has given me an opportunity to keep playing the sports I love at a higher level than I probably should be given my age, but, I can’t thank him enough for that. His infinite knowledge of exercises and their effect on the body musculature and joints has come in to play as he has helped me come back from surgeries and too many injuries to count. He knows how the body works as well as its limitations and has often searched out exercises that were specific to my needs at the time. He abounds with enthusiasm, holds me to my commitments, but knows when to push and when to back off, a true student of humanity. Lastly, after 5 years I still don’t know where he gets his counting skills from but take my word for it, he can tell you he wants 15 – 20 reps, hop in his car, drive around the block, then walk back in and pick-up the count like he was tapping his toe the whole time, I’m still in awe of this ability. Learn a little more about the EMPOWERMENT team. 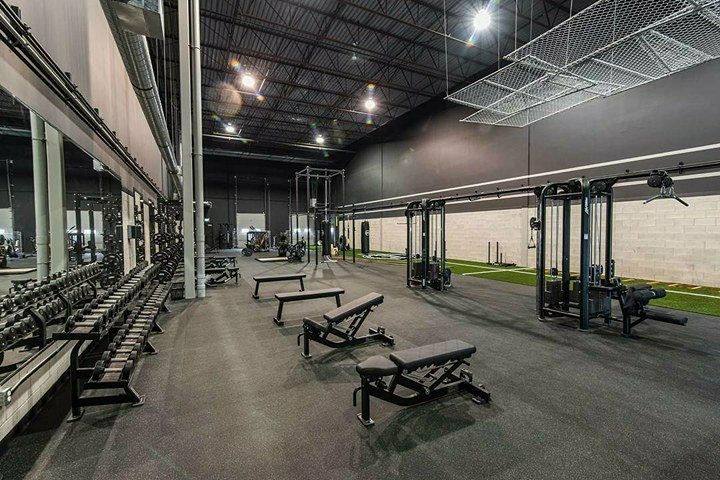 Whether you find group classes intimidating or personal training out of your budget, our services are designed around your goals and willingness to invest into your health. 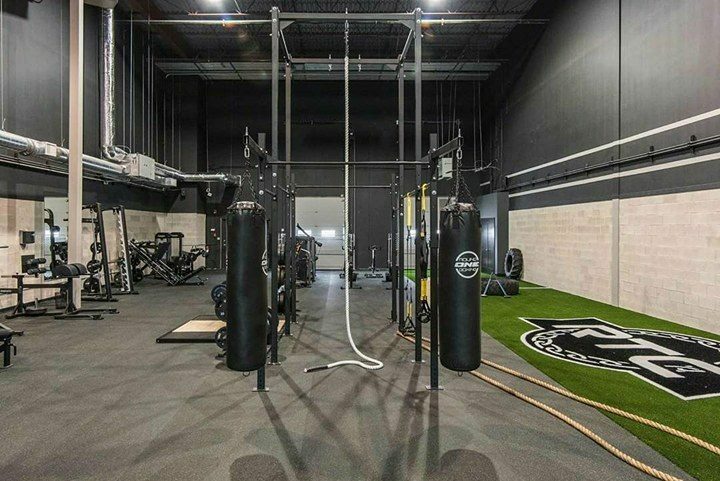 Whether you are making a major lifestyle change or just looking to fine-tune your workouts, having a personal trainer focused solely on your goals is a guaranteed investment return into your health and longevity. 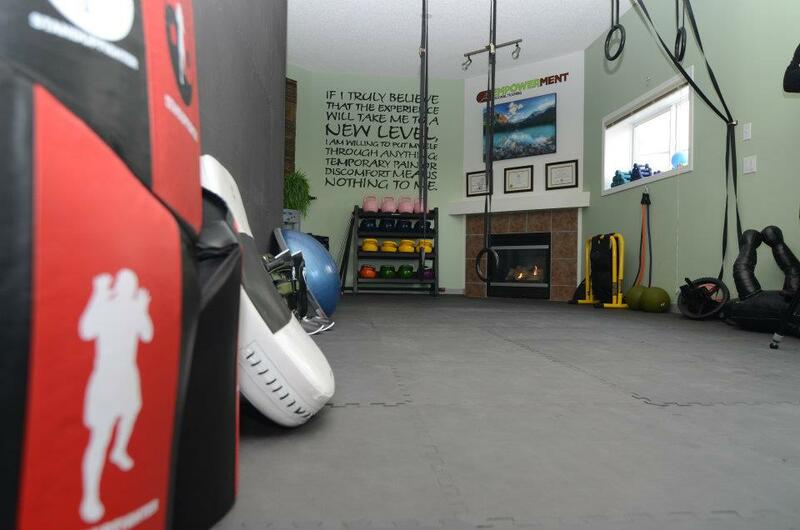 Reap all the benefits of working with a personal trainer at a decreased price with our small group training option. Working towards your common goals with a maximum of five other individuals is an ideal way to keep your workouts both fun and motivating. 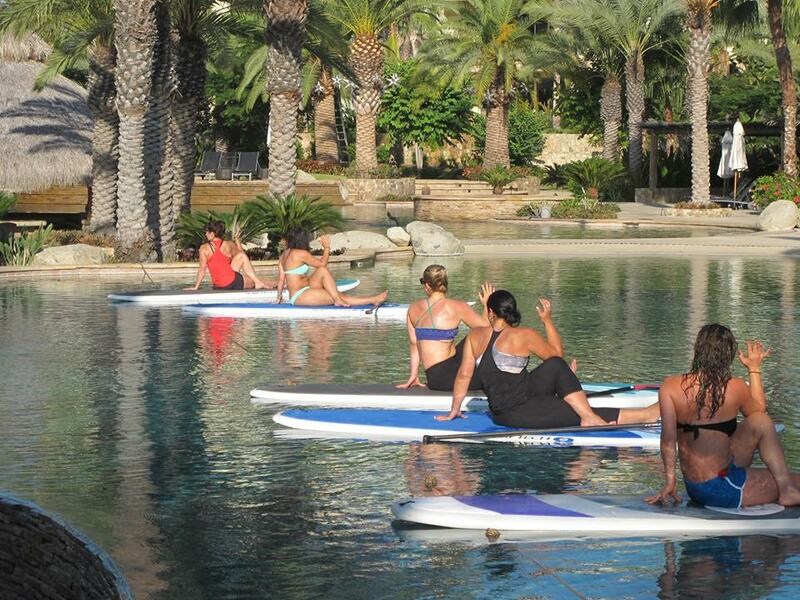 Our classes are designed to keep your body guessing through a diverse variety of exercises and formats, all while enjoying a friendly, educational and inspiring group atmosphere. 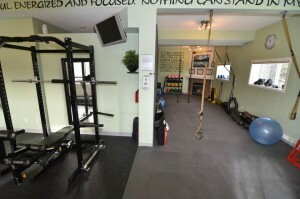 All fitness levels are welcome. For those dealing with an injury or needing rehabilitation, personal training is often the missing link to a timely recovery. 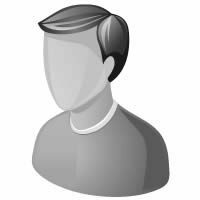 We are more then happy to coordinate with other practitioners (physiotherapists, chiropractors, sports medicine professionals, etc.) in order to make your fitness regime work for you. This is why we offer one-on-one training in the comfort of your own home, over Skype, at your workplace or at either of our two training facilities. Allow us to provide you with the resources and support you need to achieve your wellness goals. 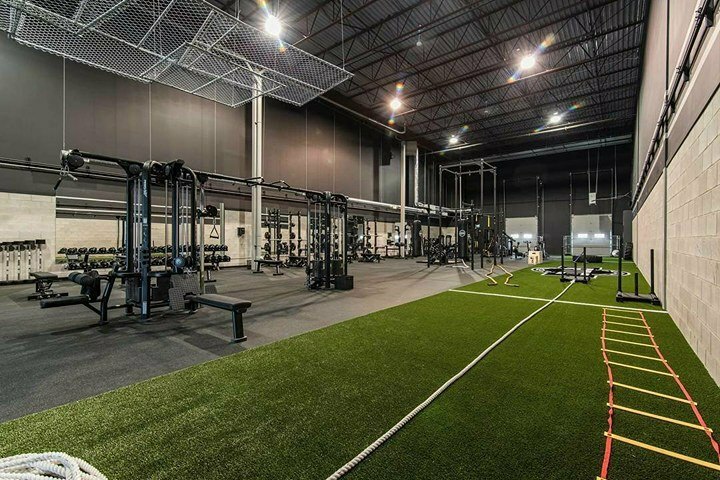 Empowerment PT operates out of Renegade Training Company which is a 6,000+ sq ft facility fully equipped with state of the art equipment and specifically designed for personal training. 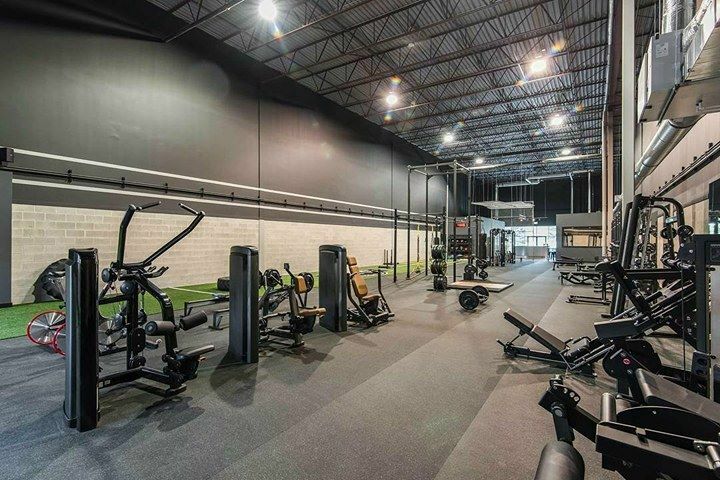 Conveniently located with plenty of parking and no monthly membership fees RTC provides an extraordinary environment in which to work towards your fitness goals. 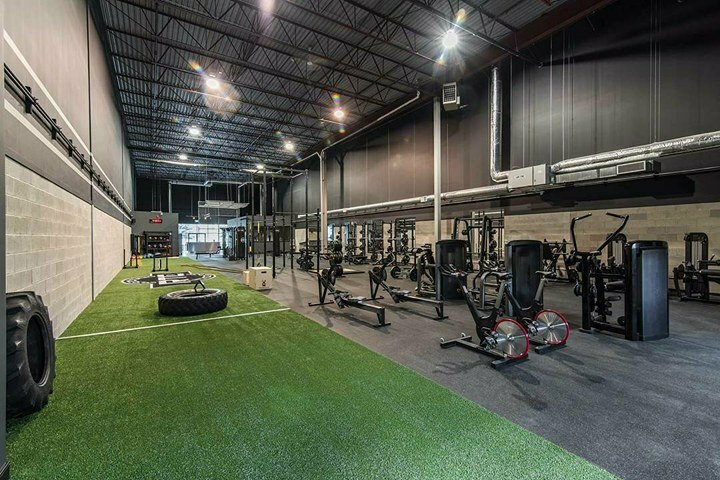 Remove all the intimidation that comes along with walking into a big-box gym at this beautiful in-home training facility in the heart of Kincora. 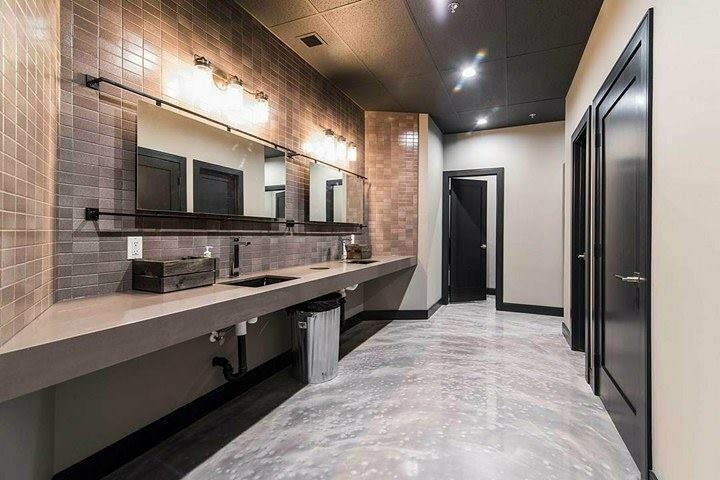 Equipped with everything you need to achieve your fitness goals, a zen-like atmosphere and men’s and lady’s change rooms with showers, Empowerment’s intimate space removes all the distractions of commercial gyms and allows you the luxury of being the only client in the studio at any given time. 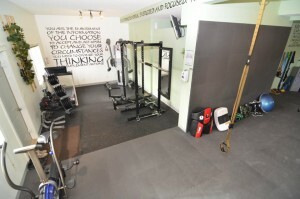 Reap all the benefits of working with a personal trainer at a decreased price with our group training option. Working towards your common goals with a maximum of five other individuals is an ideal way to keep your workouts both fun and motivating. A sound nutrition plan is a necessity when it comes to achieving your fitness goals. One week prior to meeting with your nutritionist, clients will be required to submit a food and activity journal chronicling seven days of your regular eating and exercise practices. 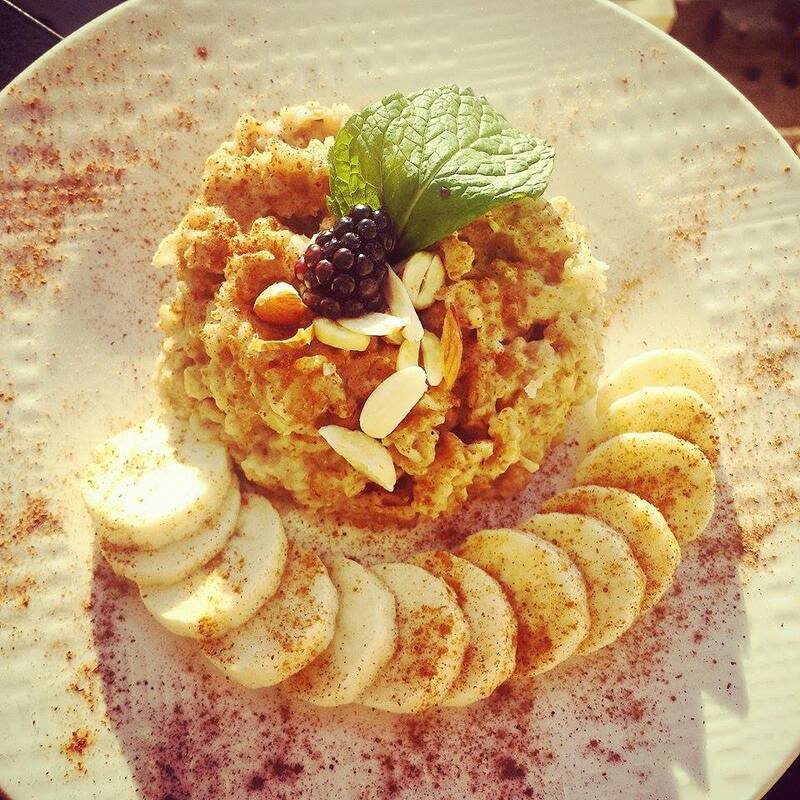 All of Empowerment's nutrition packages include an hour-long one-on-one consultation during which you will get to know your nutritionist, as well as allow them to learn about your daily eating habits, favourite foods and other relevant information that will factor into the design of your custom meal plan. After submitting a week-long record of your current eating habits you have the option to sit down or talk over the phone with your nutritionist, you will be provided with food log analysis, explanations for ideal calorie intake, general nutritional advice on healthy eating habits as well as suggested changes to optimise your current regiment. The “Monthly Nutrition Review” is ideal for those who have a general understanding of their nutrition and just need a few tweaks to reach their goals and optimise their health. Please note that this package does not include a meal plan. Our nutritionist will visit your home to assess your current food choices, the two of you will then head to your local grocery store. While at the grocery store your nutritionist will explain in detail what exactly to look for on those often confusing labels. 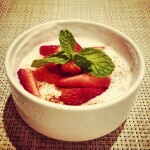 This will help you make an informed decisions when it come to the foods you like to eat. After talking to your nutritionist to assess your goals and discuss food details, they will build a week long meal plan based on your nutrition requirements and ambitions. 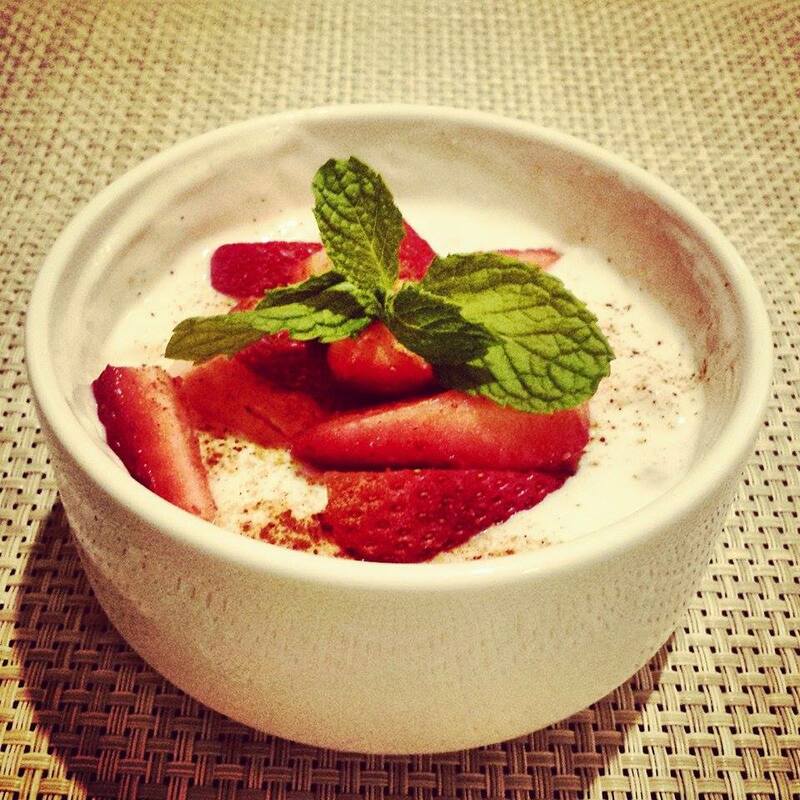 Each day of the week will be calorie and macronutrient controlled to help you achieve optimal health and results. Suggested meal timing will also be provided based around your daily schedule. A second meeting will then be scheduled to explain your meal plan in detail, ensuring you have all the tools required for success. You will meet with your nutritionist to learn how to effectively build your own meal plan based on your current goals, body composition and daily activity level. You will be provided with a list of food choices as well as a nutritional allowance chart, which is used to track your daily food consumption. Using this information you will construct your own meal plan under the nutritionists supervision. 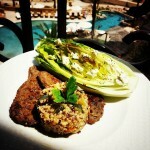 When is the last time you came home from vacation a few pounds lighter? 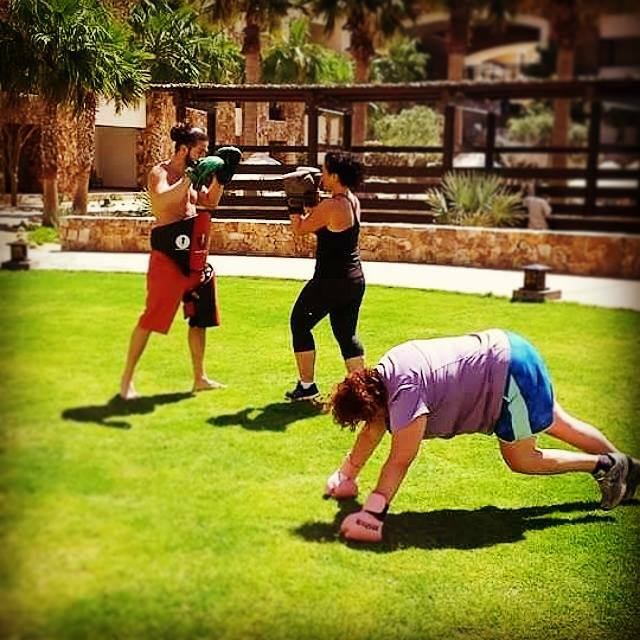 Empowerments wellness retreats will support you in doing just that with luxurious accommodations, daily workouts, nutritionally balanced meals and a myriad of outdoor adventures. 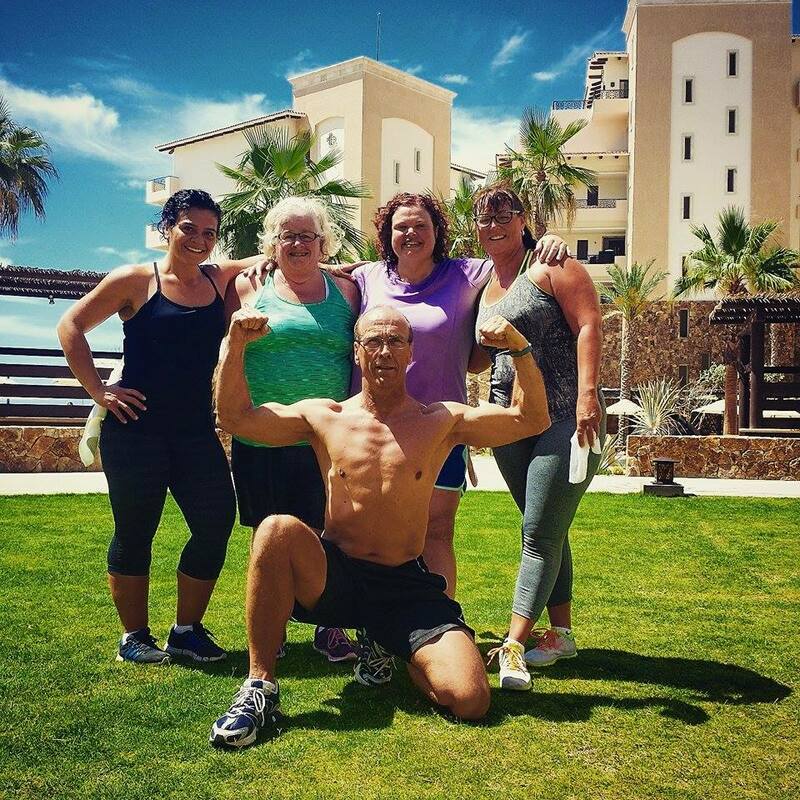 Our retreats provide the ideal environment to relax, have fun and take on a few new challenges, all while continuing to progress in your fitness routine. We offer three day wellness retreats in Alberta and British Columbia as well as week long retreats to international destinations. 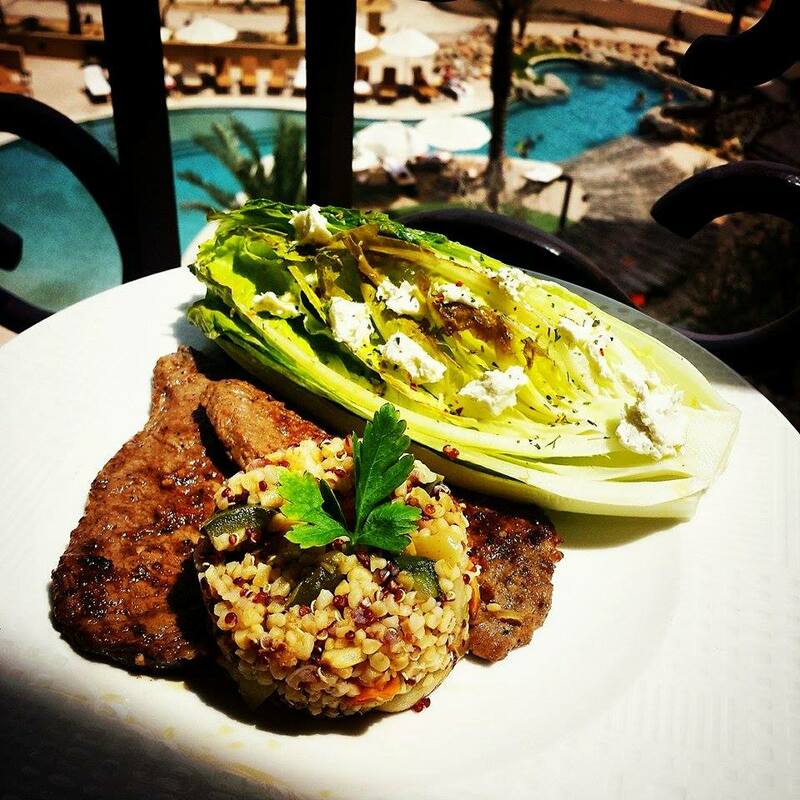 You may also book us for your next vacation where we'll take care of all the nutrition and exercise you and your company would need. Contact us for more details. EMPOWER yourself by taking the first step. 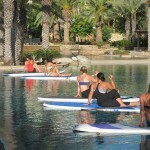 Contact us to kick-start your new body, mind and soul! We it when you sweat.